The color in this Lapis is spectacular--brilliant, eye-catching blue that is the reason Lapis has been used for jewelry for over 4,000 years. These plump beads are consistantly brilliantly colored, and only miss top grade due to a modest amount of calcite inclusions. 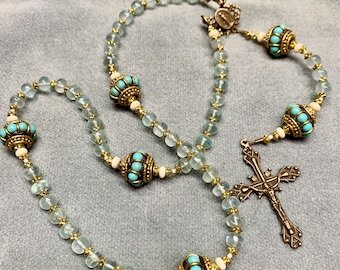 The Paters are blue Aquamarine, with gorgeous toned opaque center Aquamarine round bead flanked with gem quality rondelles. They compliment the bright Lapis perfectly! 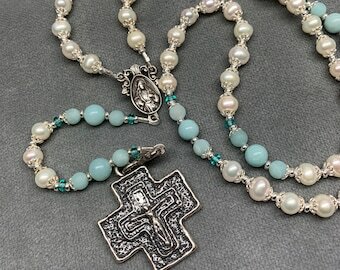 The smaller rondelles make it easy to discern when you have completed the decades -- very useful if you say your Rosary at night. 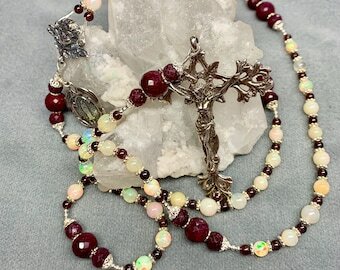 St Benedict center, Sacred/ Immaculate medal and open work Crucifix have been handcast in solid Sterling from the original antiques here in the US by a talented artisan. They have been gently burnished to a fine, aged patina. 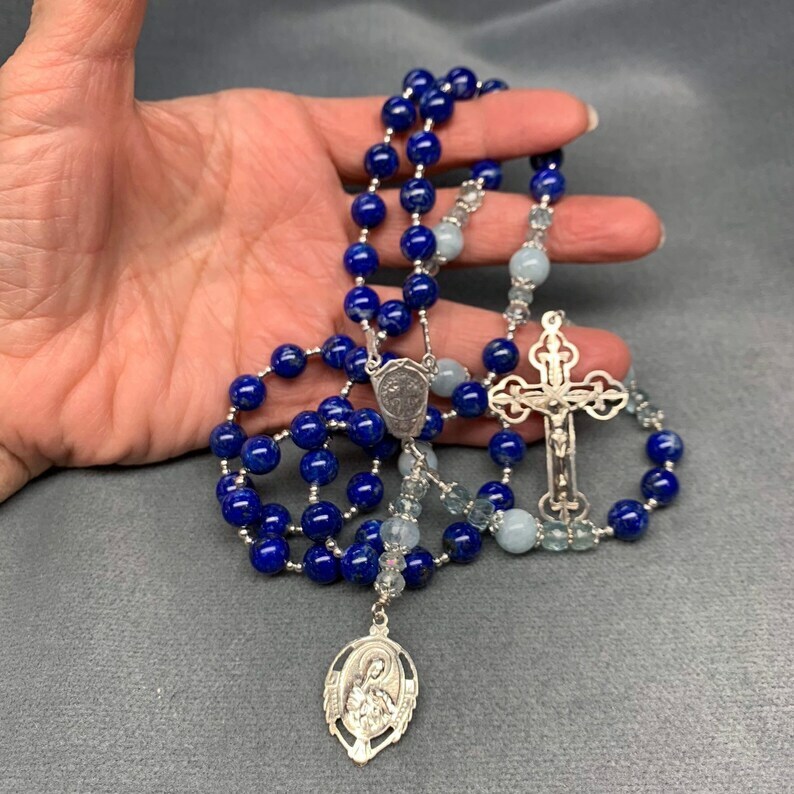 This is a slightly larger Rosary than the typical commercial Rosaries— Hail Mary bead size is 8 mm— yet it is comfortable to hold and pray.